The latest system from Fruity Chutes, specifically designed for the DJI Mavic Pro. 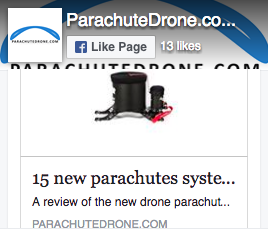 The light annular parachute provides soft landings. 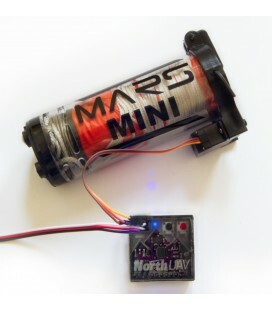 It is used with the Mayday system from MARS parachute and is therefore triggered automatically. It often detect a failure more quickly than a human. 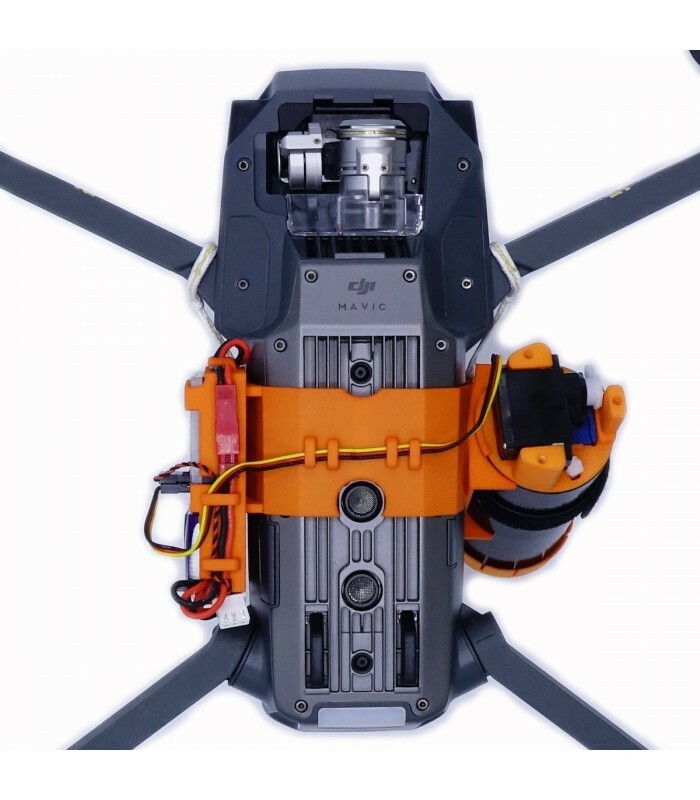 The power supply of the parachute is independent from the Mavic power supply, so the parachute can be deployed even if the drone has no power anymore. 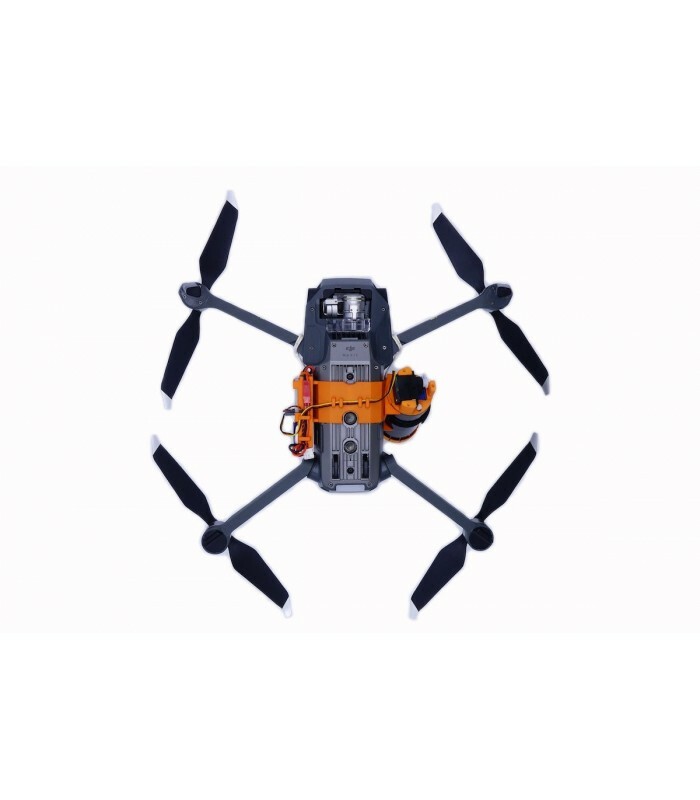 The fastenning system is very light and is mounted around the Mavic body. Everything is included, only a Phillips swcredriver is required to mount the system. The parachute is available in two color schemes : orange/black and orange/white. This parachute for Mavic is based on the Harrier system(previously developed by Fruity Chutes), it uses a spring to eject the parachute quickly and far from the drone. This system has not export restrictions, you can carry it everywhere with you when you travel. 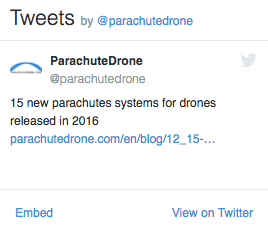 The parachute is an exisitng product from Fruity Chutes, the Iris Ultra Light (IFC-30-SUZ), it weighs 0.96oz (27.7g) and can slow the fall of a drone of 2.5lbs (1.2Kg) to 15ft/s (4.57m/s). It can easily support drones of 5.3lbs (2.4kg) or more. 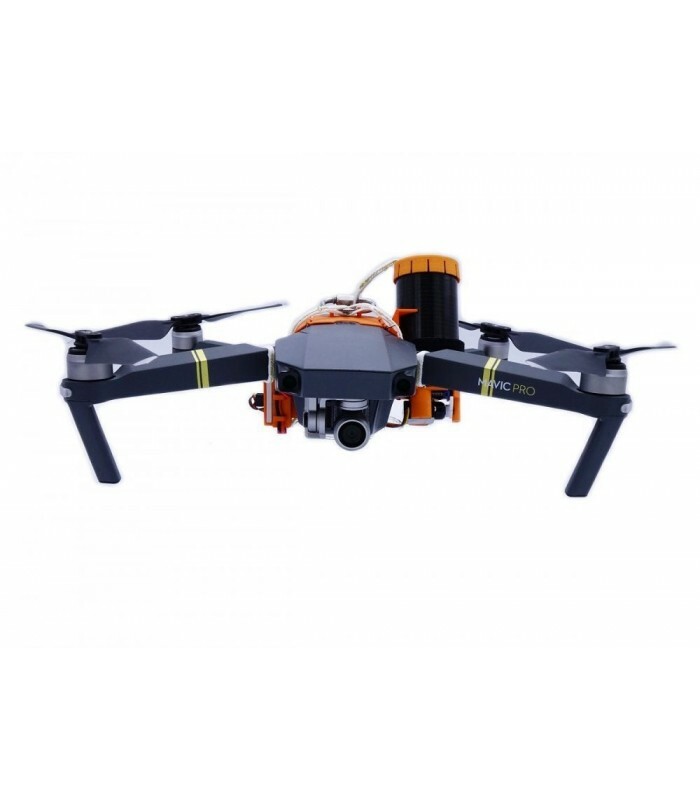 The fastening system is 3D printed by selective laser sintering, it is attached firmly to the Mavic. A hinge and a pin allow for quick attaching and removing. On one side, the fastening system carry the Harrier ejection tube and on the other side, the Mayday board and the battery. Even with the Platinium Pro propellers (which are a bit longer than the stock propellers), there still way anough room between them and the ejection tube. The Harrier ejection system is equipped with line stows to keep the parachutes lines away form the props. 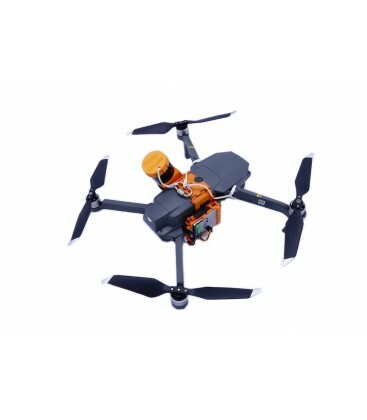 The Harrier for Mavic system is delivered with a quick start guide and links to online tutorials. QR codes helps to access quickly to these help ressources. Every Fruity Chutes products have a 2 years warranty for manufacturing defects. 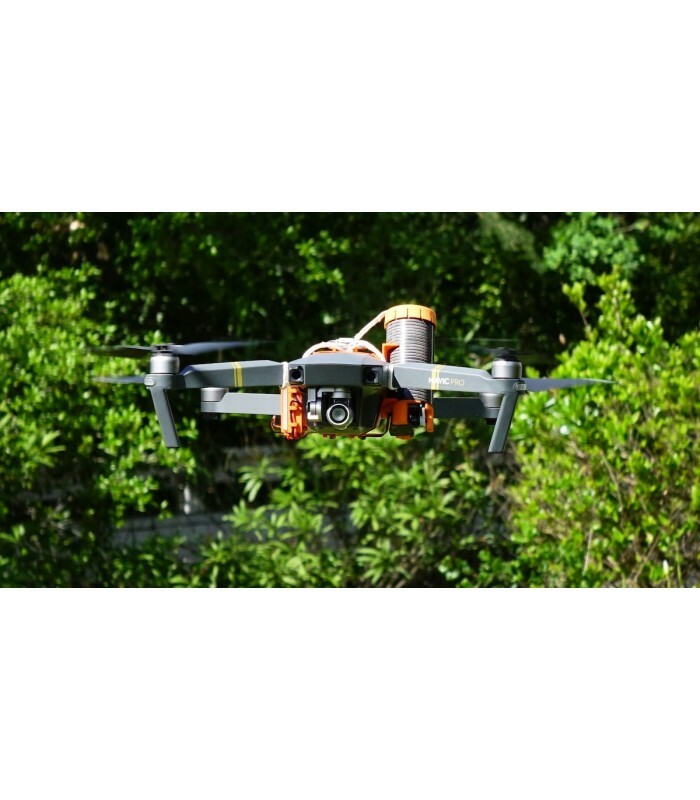 The system is fully autonomous and does not depend on the Mavic at all, it will therefore operate fully even if the Mavic battery is faulty. 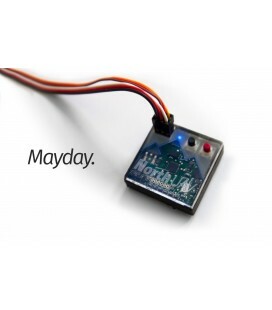 The fall detection system of the Mayday (called ATS by Fruity Chutes for Automatic Trigger System) can sense if the drone is free falling or rotating too much on its pitch and roll axes. The fall detection takes no more than 0.75 seconds or 16ft (4.9m) on average. By the time the pilot notices the problem, the parachute is already deployed. Ce système n'a aucune restriction en ce qui concerne son transport dans d'autres pays, vous pouvez l'emmener en voyage avec vous. 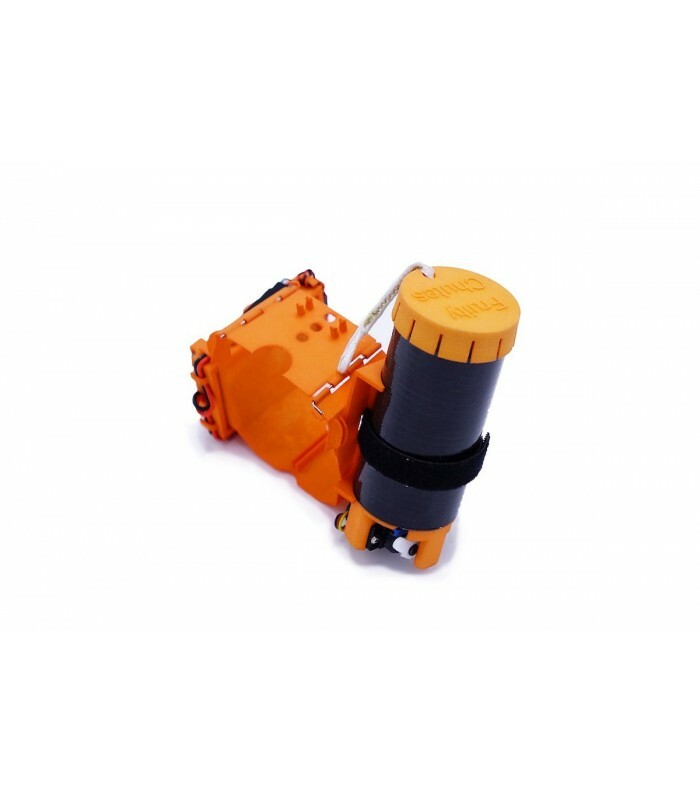 Launcher diameter (in millimeters) 40mm / 1.57"
Launcher length (in centimeters) 103mm / 4"
Launcher diameter (in inches) 1.57"